The Daytona is the chronograph in the Rolex family. Sporty and functional, it's an icon of this Swiss manufacturer and was popularized by actor and racecar driver Paul Newman. It is one of the most coveted timepieces among watch enthusiasts. Rolex introduced the Cosmograph Daytona to the market in 1963, one year after the first long-distance car race took place in Daytona. The chronograph watch was named after the famous racetrack in Daytona Beach, Florida, and is an anomaly for the Geneva-based brand most well-known for prestigious watches with three hands. Some of the manufacturer's most famous models are the Submariner and the Datejust. When the company first presented the Cosmograph with the reference number 6239, the "Daytona" inscription had not yet made its way to the dial. With time, the name was added above the 12-hour counter at 6 o'clock on every watch. The extra large and easy-to-read tachymeter scale on the bezel allows the wearer to calculate speeds, further emphasizing the fact that the Cosmograph Daytona was developed for motorsport and racecar drivers. Every year, the winner of the 24-hour race in Daytona receives a Rolex Daytona with an engraved case back in honor of their achievement. These models are extremely rare, making them all the more desireable and expensive. How much is a Rolex Daytona? The 2016 Rolex Daytona with the reference number 116500LN costs approximately 20,500 USD in mint condition. Pre-owned models are just slightly less expensive at 20,000 USD. These prices are more than 6,100 USD above prices at retail shops; however, you also get to avoid the long wait of multiple months – if not years – that you would have with offline retailers. Stainless steel Rolex watches are generally quite highly coveted, thus making them a safe investment. Rare models like the Rolex Daytona Paul Newman only appreciate in value and can reach astronomical prices at auction. Paul Newman's own Daytona ref. 6239, which had been a gift from his wife Joanne Woodard, sold for an incredible 17.75 million USD at auction in 2017 – a record price for a wristwatch. You can purchase a "normal" Paul Newman Daytona for around 123,600 USD. That being said, it's not uncommon to see prices fluctuate up to and beyond 247,100 and 370,700 USD. Those who can do without this special, multicolor dial design will find the ref. 6239 for as little as 66,700 USD. In terms of technology, these vintage watches are identical. 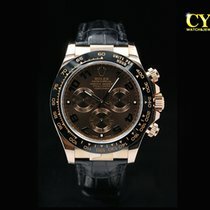 How much do newer stainless steel Daytona models cost? More recent models like the ref. 116520 are significantly more affordable than watches with less common reference numbers from the 1960s and 1970s. The 116520 was introduced at the turn of the millennium and replaced by the ref. 116500LN in 2016. At 19,300 USD, never-worn models of the previous edition are barely less expensive than the current version with a ceramic bezel. Prices for pre-owned examples of the former are quite a bit lower at 15,500 USD. In 2016, the list price for one of these watches was still around 13,500 USD. It's clear how much value the ref. 116520 has gained since then. The performance of the Daytona ref. 16520 is even more impressive. When it came to market in 1988, it was still outfitted with a heavily modified Zenith El Primero movement. Expect prices of around 23,500 USD for this timepiece. 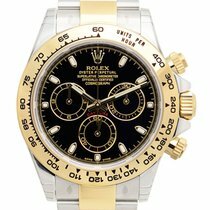 How much does a gold or platinum Daytona cost? 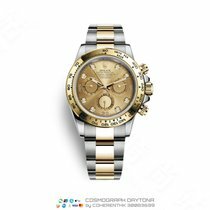 A Rolex Daytona made of 18-karat gold and with the reference number 116508 costs about 30,300 USD when new and around 27,200 USD when pre-owned. This means its 39,000-dollar list price is much higher than the online price. The ref. 116508 comes in yellow, white, or rose gold. Rolex refers to the latter as "Everose" gold. These three versions all include a gold bezel with a tachymeter scale, which differentiate them from the ref. 116518LN introduced in 2017. Rolex outfitted this latest model with a Cerachrom ceramic bezel and replaced the gold 3-piece link Oyster bracelet with their Oysterflex bracelet. This new bracelet is composed of flexible metal inserts that are then covered with elastomer. The yellow gold version costs just under 27,200 USD, making it slightly less expensive than prices at offline retailers. A highlight within the Rolex Daytona collection is the model made of platinum with the reference number 116506 , an ice blue dial, and a chestnut brown Cerachrom bezel. Prices for new examples sit around 61,000 USD. You can find pre-owned models for 56,200 USD. The stainless steel and gold bicolor versions (ref. 116503) are markedly more affordable at 14,600 USD for a pre-owned watch and 15,800 USD for one in mint condition. You can even get a model from the 1990s for around 11,100 USD. How much does a rare Pre-Daytona cost? So-called "Pre-Daytona" vintage watches are highly coveted among collectors and are extremely difficult to find. This is because these watches were produced before 1963 and only in relatively limited numbers. Even though Rolex first trademarked the name "Cosmograph" in the early 1950s, only the word "Chronograph" was written on the dials of the Pre-Daytonas. However, these watches never became a real hit since Rolex was already known for their chronographs and, in a rare move, opted to go with a caliber from a third party instead of their own. Gold examples with the reference number 6234 may cost more than 123,500 USD. Prices for the stainless steel versions come in at between 24,700 and 74,100 USD. Actor and racecar driver Paul Newman is one of the most famous wearers of the Rolex Daytona. This watch with three subdials, two pushers, and a tachymetric scale on its bezel enthralled Newman. The model with reference number 6239 was a particular favorite of his during the late 1960s. He wore his Rolex Daytona during races, which only added to its fame. Models with a contrasting seconds ring on the dial received their "Paul Newman" nickname from collectors in the 1980s. These versions are treasured by watch enthusiasts and sell for astronomical prices at auction. The original Newman chronograph featured a white dial with three black subdials and large, easy-to-read Arabic numerals. The last models to feature manual winding calibers from the 1970s are even more coveted. Christie's auctioned off one of these watches in 2013 for nearly one million Swiss francs. The designers developed the Daytona for car racers. The original version of the watch included a chronograph function which measured periods of up to 12 hours. The 30-minute counter was at 3 o'clock and the small seconds counter was at 9 o'clock. It was well laid out and easy to read. 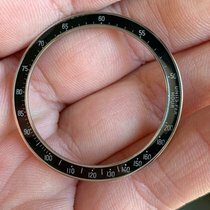 The tachymeter scale on the bezel allowed for measurement of an average speed over a certain distance. Unlike other manufacturers, Rolex engraved a much larger scale on the bezel, then made of stainless steel. The 1960s Daytona was powered by the manual winding Valjoux caliber 72. Production of these manually-wound watches ended in 1976 when Rolex presented the first automatic Daytona watches. The Geneva-based manufacturer introduced further improvements to their chronographs at Baselworld 1988. The automatic chronographs presented there were powered by the caliber 4030. This movement is based on the El Primero watch by Zenith, which vibrates at 36,000 alternations per hour (A/h). Rolex watchmakers liked neither this higher frequency of 5 Hz nor the El Primero's date display. Therefore, they completely reworked the Zenith caliber. The design engineers ended up rebuilding almost half of the movement's components. For example, the balance wheel now oscillates at 28,000 A/h. The well-known Breguet balance spring was also added to the caliber. The movement is regulated via the usual Rolex system of Microstella nuts, which are located on the inner side of the now larger balance wheel. This is unlike most standard movements, which are regulated via a so-called regulator. The steel versions were the most sought after, resulting in incredibly long waiting lists. They're still just as popular today. The Daytona with reference number 116520 was one of the highlights of Baselworld 2000. The stainless steel watch featured the in-house automatic caliber 4130 . The first chronograph movement from Rolex premiered a year earlier in the gold version of Daytona. It has a diameter of 30.5 mm and is 6.5 mm thick. It features 44 ruby jewel bearings and its balance wheel vibrates at 28,800 A/h. The small second hand stays still even while the time is being set. The movement has an impressive power reserve of 72 hours when the chronograph is off and 66 hours when it is on. The balance wheel and escape wheel are protected from jolts by the KIF shock protection system from KIF Parechoc. Since 2005, the balance spring has been unaffected by magnetic fields thanks to Rolex's patented Parachrom hairspring, developed in-house. The design of the Daytona has barely changed in the 21st century. The case is a twin to its predecessor; only the dial has been slightly altered and adapted to fit the in-house chronograph movement. The small second hand is now located at 6 o'clock, while on the "El Primero" Daytona it was at the 9 o'clock position. For the watch's 50 year anniversary in 2013, Rolex introduced a platinum version with a brown Cerachrom-ceramic bezel. This complements the stainless steel and bicolor models perfectly. The bicolor Daytonas feature bezels, pushers, and crowns made of yellow gold, as well as the bracelet's middle links. The Daytona is on par with chronographs from other manufacturers. Competitors include the Speedmaster from Omega and the Carrera from TAG Heuer. The Speedmaster Professional, also known as the Moonwatch, is one of the Daytona's biggest rivals and a part of the Speedmaster collection. This Omega watch was originally developed for car racing but ended up finding its way to the moon. It was the official watch of NASA for the Apollo 11 mission and accompanied Buzz Aldrin when he stepped foot on the moon in 1969. A TAG Heuer watch was the first Swiss watch to make it to space. In 1962, with a Heuer watch on his wrist, the astronaut John Glenn became the first American to orbit Earth. The most well-known chronographs from this La Chaux-de-Fonds-based company include the Carrera, which Heuer introduced in 1963. The watch was named after the Rallye Carrera Panamericana car race. Within a short amount of time, the watch established itself as a worldwide success. The Rolex Daytona unites precision and robustness with precious materials such as gold and platinum. Simultaneously, the watch embodies the feeling and functionality of car racing. After all, there's a reason that car racer Jackie Stewart has sworn by Rolex chronographs since 1969. 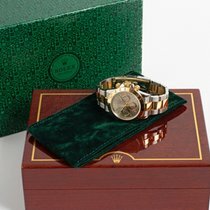 More than any other watch manufacturer, Rolex stands for luxury and prestige. Whoever buys a Rolex has more than just a watch – pieces from this Swiss company are investments. A consistent model range, harmonious designs, and perfect Swiss watchmaking have made this brand a legend adored by both famous personalities and laymen watch lovers.